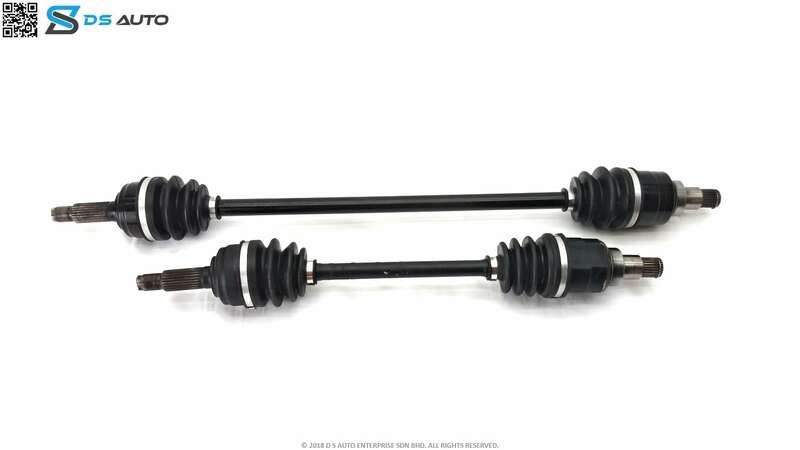 This is Perodua Viva drive shaft set, showcasing both the drive shafts from the side view. This is Perodua Viva drive shaft set from the top view. 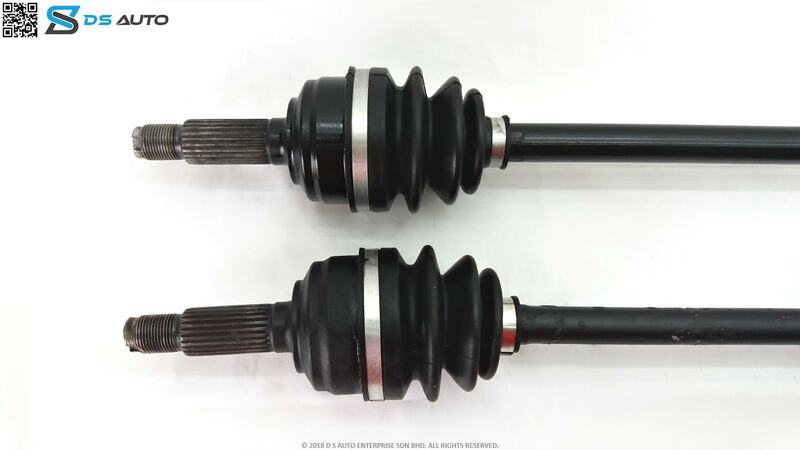 This is Perodua Viva drive shaft set, showcasing the outer constant velocity joint. 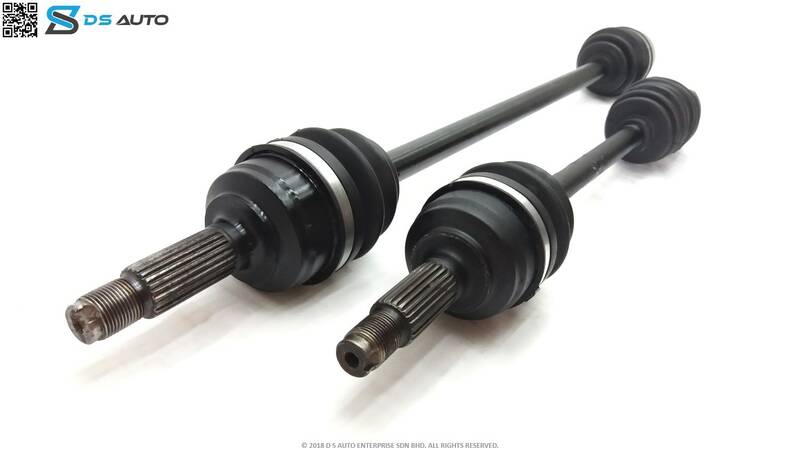 This is Perodua Viva drive shaft set, showcasing the inner constant velocity joint. Is your Perodua Viva giving you problems? Looking to get your drive shaft replaced? 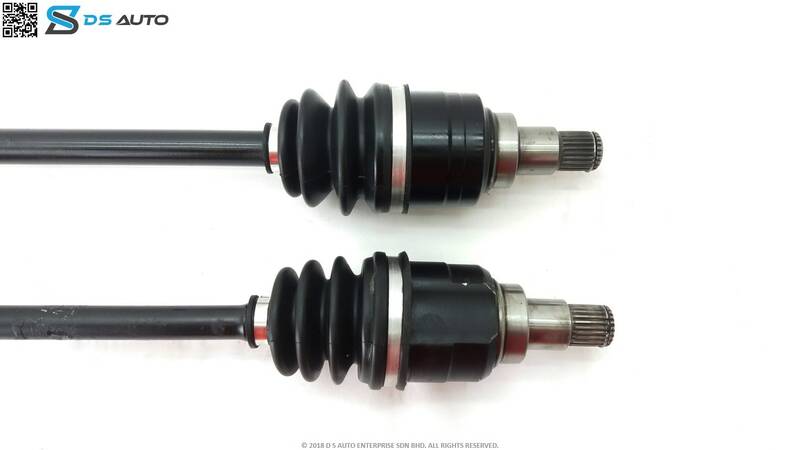 Speak to D S Auto‘s customer service now to get your Perodua Viva drive shaft. Perodua Viva is one of models of car manufactured by Malaysia in the late 2000s to 2014. It was an improvement to the Kancil and Kelisa models in terms of aesthetics and the engine used. Like all, Perodua cars, it also utilises Daihatsu manufactured engines. This model was produced side by side with the popular Perodua Myvi. A city car by design, its intended target market was the urban population of Malaysia. Perodua Viva is a city car, similar to its predecessors to older Perodua designs of Kancil and Kelisa. Similar to all Perodua cars, this was manufactured by Malaysian Automaker Perodua using a Daihatsu engine. For the Perodua Viva, it uses the Daihatsu Dynamic Variable Valve Timing (DVVT) engine. When was the car made? Perodua Viva was launched in May 2007. Following the creation of a new model, Perodua Axia, its production was halted in September 2014. Variants of Perodua Viva have various as of 2009. Elite models ranges from RM 37900 to RM 44900. Non-elite brands with smaller engines has price ranges from RM 25300 to RM 36900. Perodua Viva in its launch has initially six variants namely: 660EX, 850EX, 1.0SX Standard, 1.0EZ Standard, 1.0SXi Premium and 1.0EZi Premium. The 660EX, 850EX, 1.0SX Standard, 1.0SXi Premium operate under manual transmission, while 1.0EZ Standard and 1.0EZi Premium work under automatic transmission. In 2009, another manual variant, 660BX was introduced. Elite versions were also introduced to replace 1.0SX Standard, 1.0SXi and 1.0EZi models. Perodua Viva has choices for three engine size namely 660 cc, 850 cc and 1000 cc which utilizes DVVT. Power rating are pegged at 37kW, 39 kW and 45 kW respectively. Mileage also varies from 42.6 mpg (15.1 km/L) to 54 mpg (18.7 km/L). The top speed for Perodua Viva is at 160 kph. Safety measures include airbags for premium variants of Perodua Viva. Other variants also have an anti-locking breaking system (ABS) coupled with electronic break distribution (EBD) and brake assist (BA). Externally, improvements were highlighted in the Perodua Viva Elite variant. There is front bumper with foglamps. Chrome door handles, side skirts and 14 inch 12 spoke alloys are also seen. Windows were also coated to reject more than 90% of UV rays. Inside the car, 1-DIN head unit contains MP3 and WMA support. Elite models also have seat height adjusters and electrically adjustable side mirrors. What are some of its direct competitors? Hyundai cars were said to be comparable to the Perodua brand in 2000s in Malaysia. This brand has the same hatchback design as some Perodua cars (i.e. Kenari). It has also released the i10 and i30 models that has similar specification as Perodua Viva. This would include some form of in-car entertainment and standard safety specifications also being offered by Viva Elite. Prices which are below RM 50,000 can also be considered competitive by Malaysian urban standards. Naming which includes Inokom and Hyundai logos makes for an interesting take on Hyundai’s attempt to penetrate the Malaysian market. In 2008, around 33000 units Perodua Viva unites were sold, which is 43% of the units sold by Perodua. It was the second best-selling model of Perodua (top-selling is Perodua MyVi). In 2009, around the time Perodua Viva Elite was released, Perodua’s market share was 31.3% (up from 30.5% from 2008) amidst the global economic crisis of 2008. Toyota, one of Perodua’s competitor in Malaysia speculated that the government’s scrapping policy after the crisis helped Perodua increase their market share. Feedback to Perodua Viva were mostly positive. According to a motoring magazine in Singapore, one variant 1.0 EZi was considered a “good value for money” car. The design sits well in practical terms. However, there were issues on quality and engine noise. High quality materials could have been used which could have made travelling more comfortable. Reviews also highlighted that maintenance of Perodua Viva should be cheap.